"This year’s Baselworld was a treat for everyone who loves vintage watch reeditions. A lot of brands released a number of cool reinterpretations of old models. Certina, a brand that albeit has a huge history, mostly creates contemporary watches also blessed us with something special. 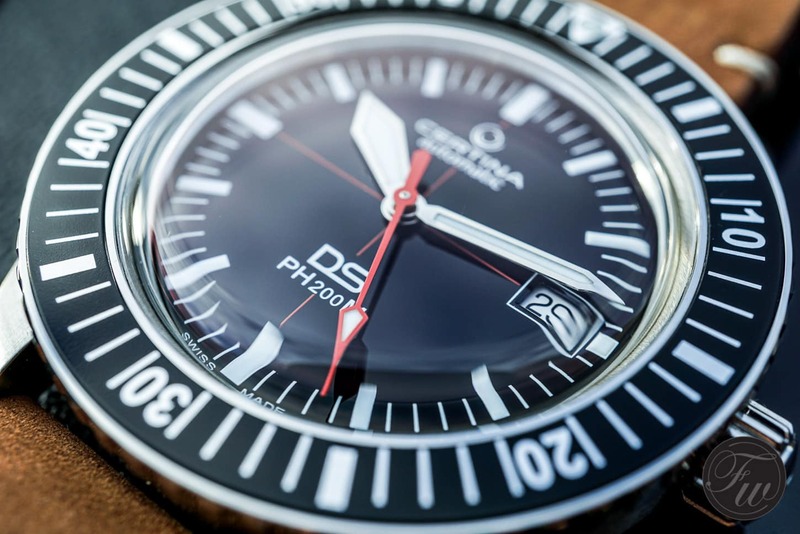 It is the Certina DS PH200M, a diver that is the descent of the legendary PH200M from 1967. This was a memorable release for a number of reasons. Just to mention one, as I said it above, Certina was never the brand that focused too much on their heritage models. Whether it was a conscious move or not I don’t know but I’m happy the DS PH200M came to production." Not bad looking; there are fans of the brand here but I just can't get into them. When I first saw that a few months ago I really wanted one, but they looked like a PITA to get in the US. Then I read more about it and saw the size. I'm no longer interested. at 40 mm and a lug of lug at 48-49 I might be. Great brand and I really like the movement. I have a Tissot seastar that runs for forever with the Powermatic. I really like a lot of the Certina divers; if I'm not mistaken, someone here own one of those. Sharp as a tack. This watch, uh ... I understand why it was made, I'm sure the quality is there, but it just doesn't ring my bell. Can't even tell you why, it just doesn't do anything for me. Too big for me, but like Susan Boyle, it makes my John Thomas stand to.